After a long time, Nifty may open higher and surprisingly stay higher. I expect a 150 odd points movement today. Aggressive posture of ICICI Bank may threaten the bear cartel which is trying to push the market down. 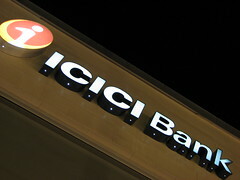 I am strongly supporting the ICICI Bank management's actions in the past few days. But I think we should not invest in the banking sector right now. More pain in their stock prices are awaited. Indian Mutual Funds turned sellers in this sector. If you can wait for more than 3 years, then you can pick Bluest of Blue Chips now. Buy Reliance, Reliance Capital, ITC, 3i Infotech, RPL, RCOM, NTPC, SUN TV to name a few. Investment purchases should be done in the falling market not during relief rally. Today, ICICI Bank may be the star performer of the day.